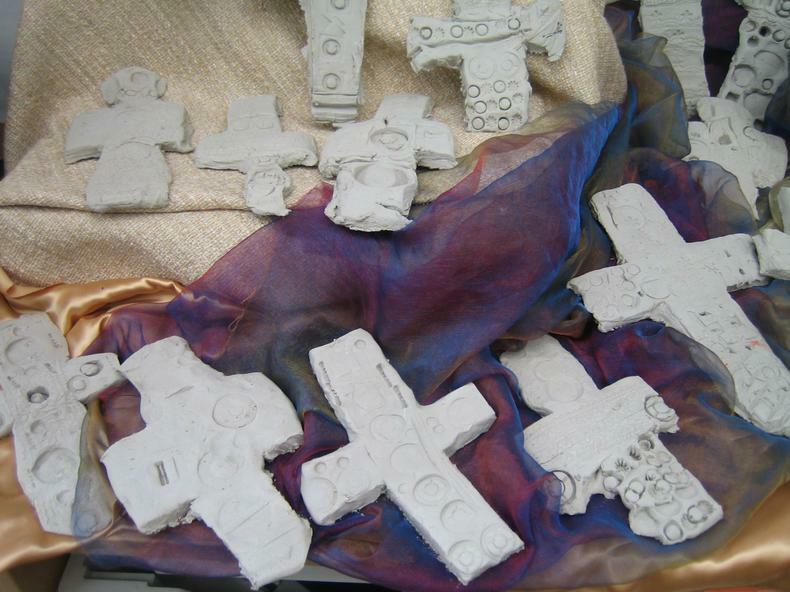 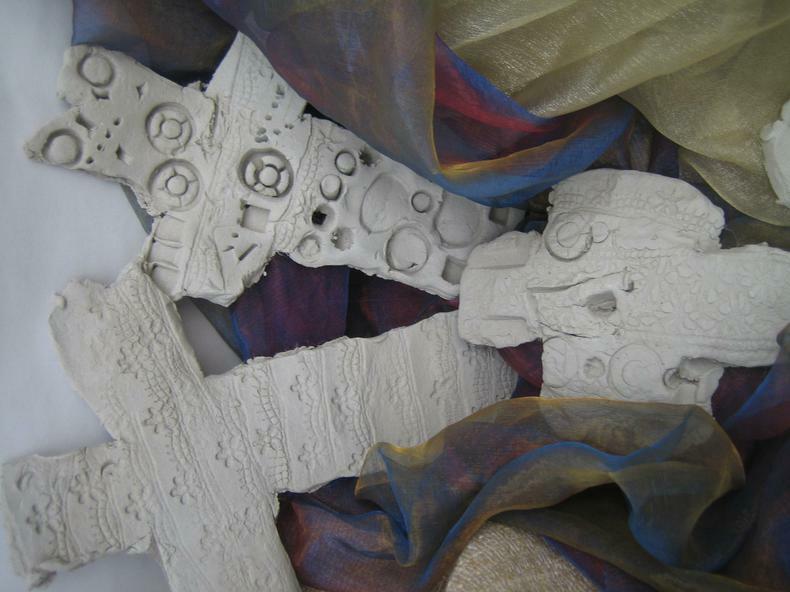 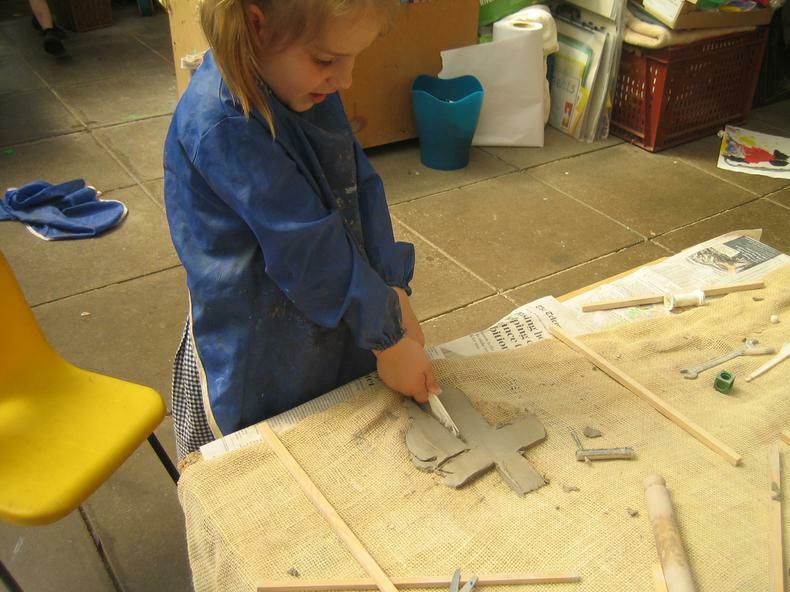 Holy Week was the focus for KS1 Art Week. 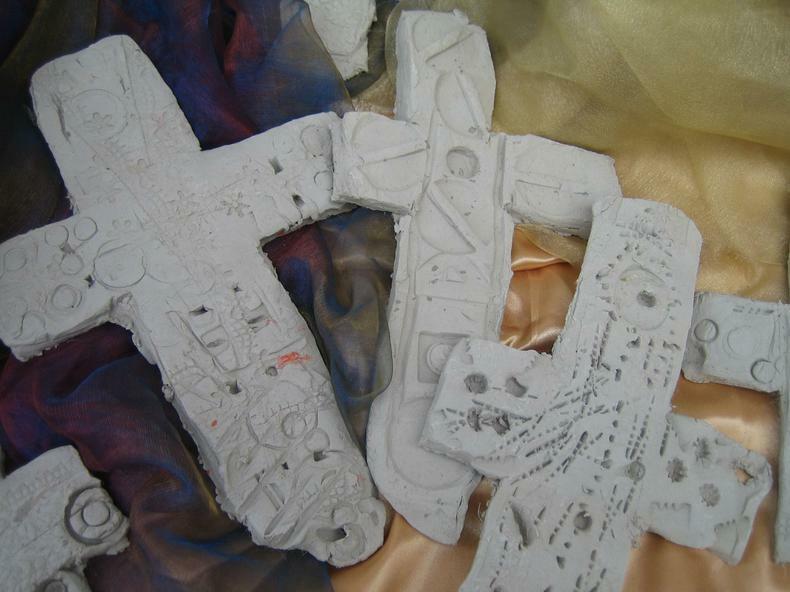 The whole of KS1 took the painting Resurrection by Jyoti Sahi. 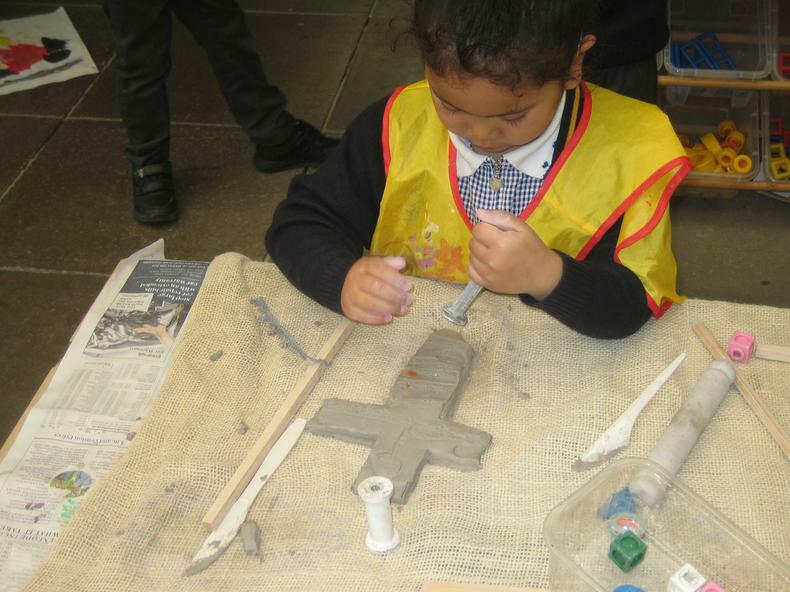 The children painted pictures just like it. 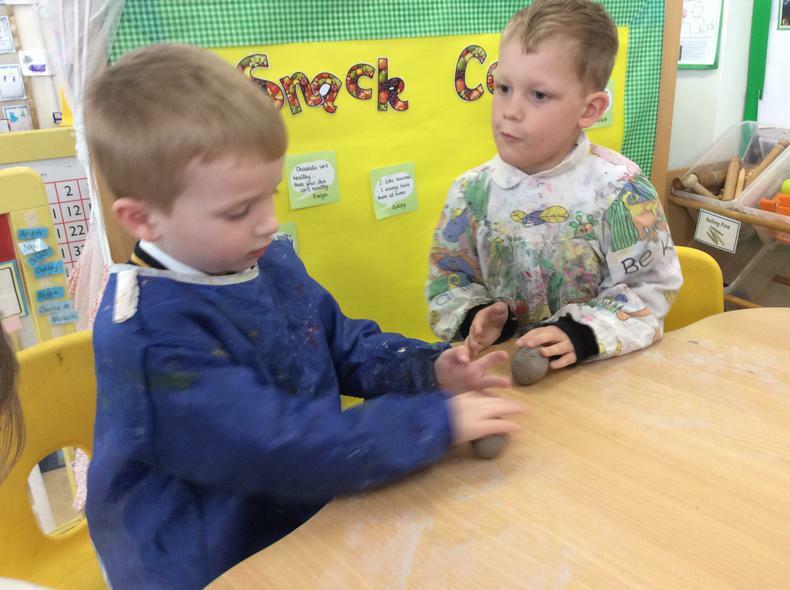 They thought carefully about the colours and which brush might be best. 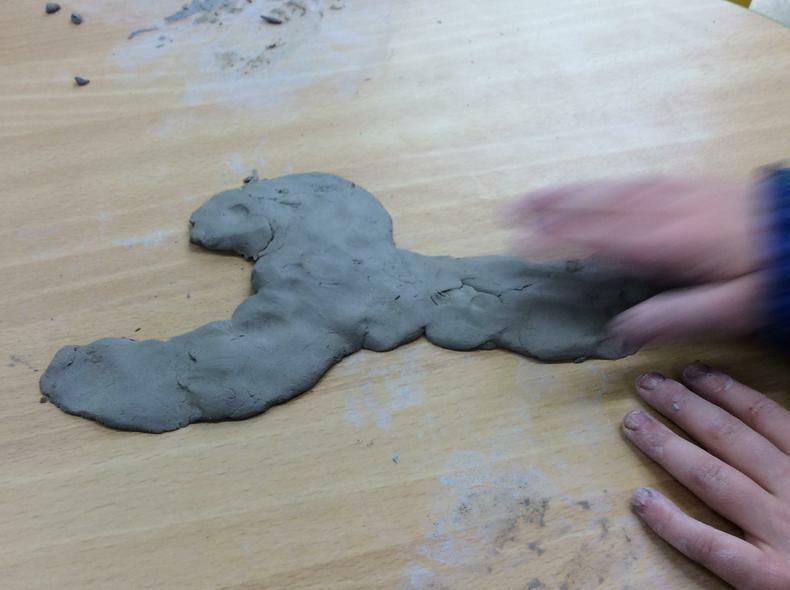 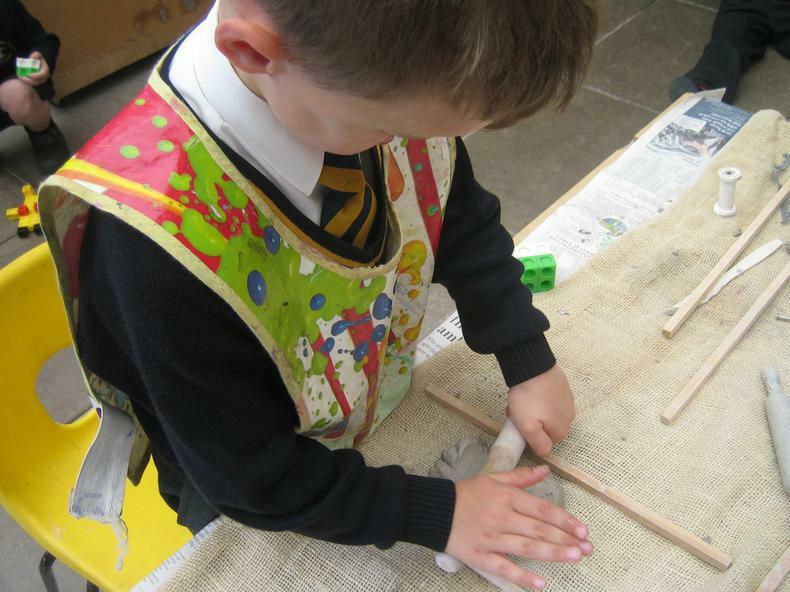 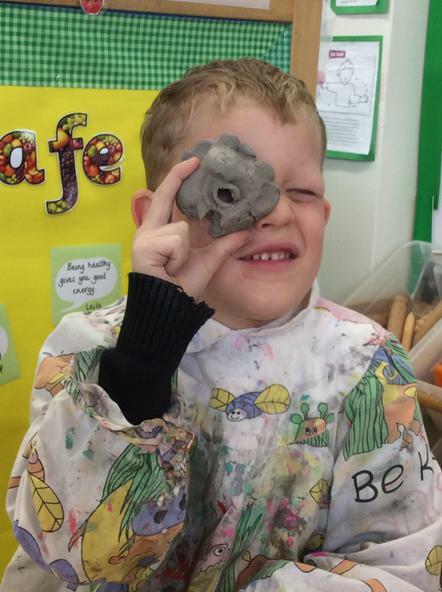 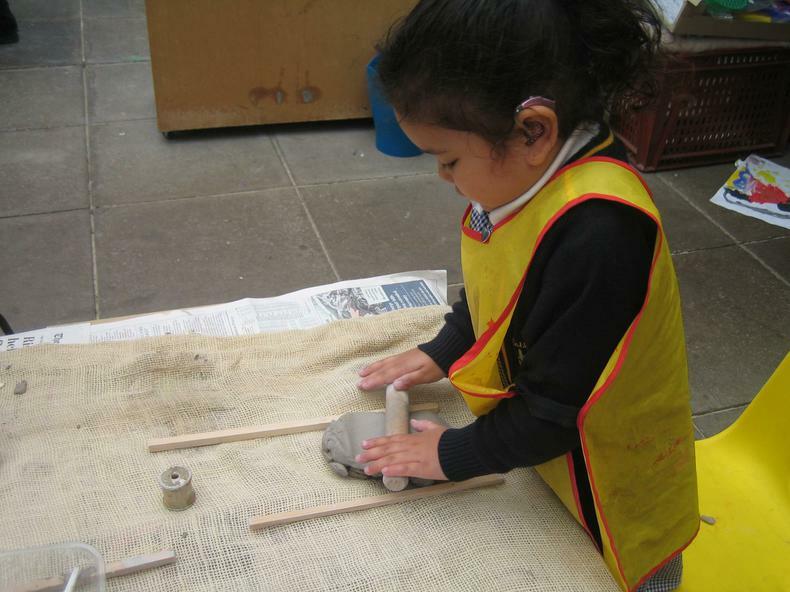 Throughout the term we have been exploring sculpture in art, firstly through junk modelling but this was an excellent opportunity to explore using clay as part of working in 3D. 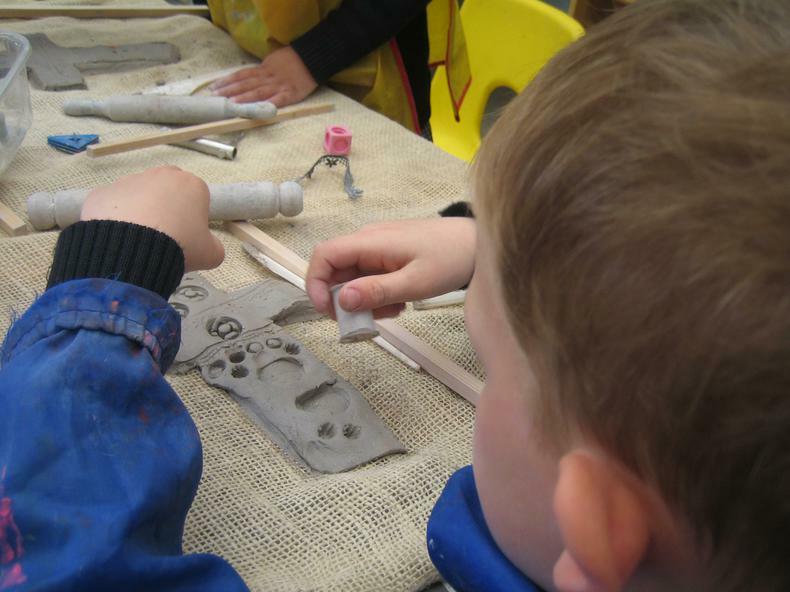 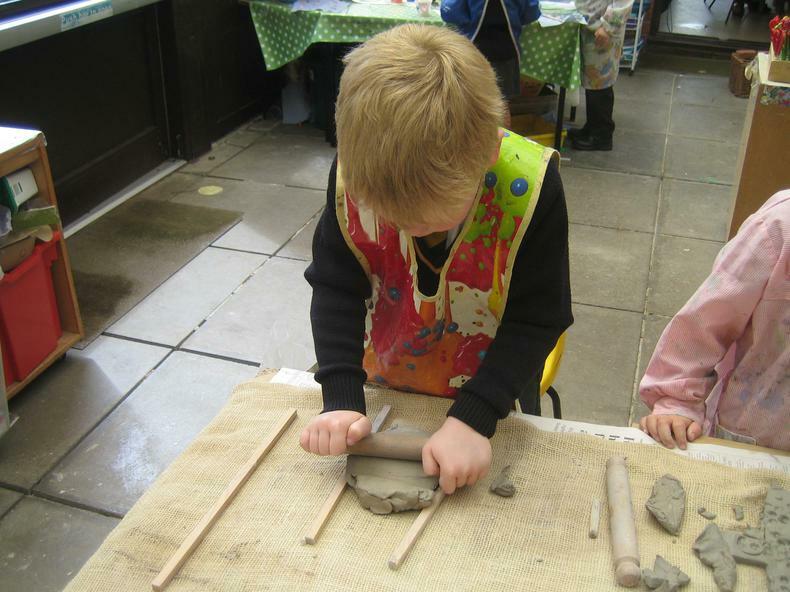 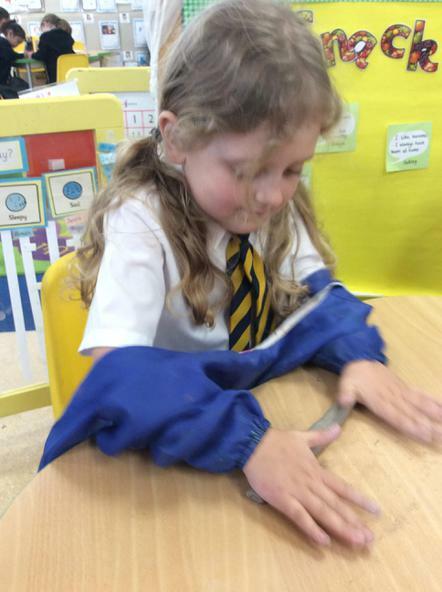 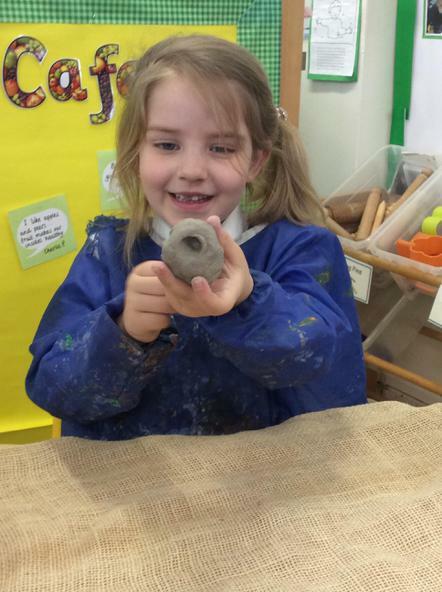 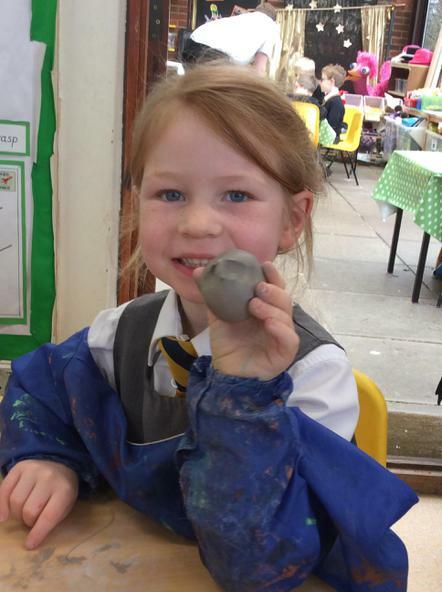 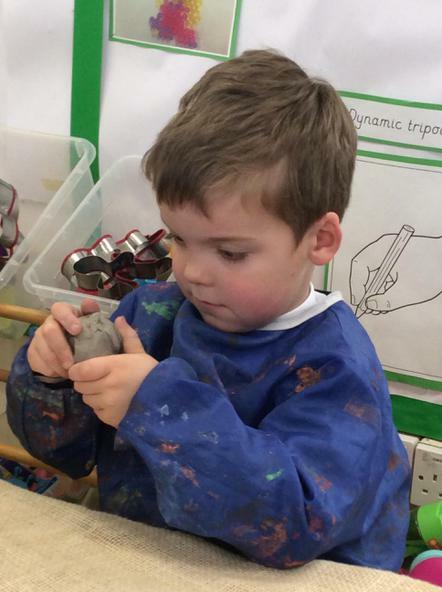 The children spent time playing with the clay, pinching it, squashing it, moulding it, smoothing it and even putting holes in it. 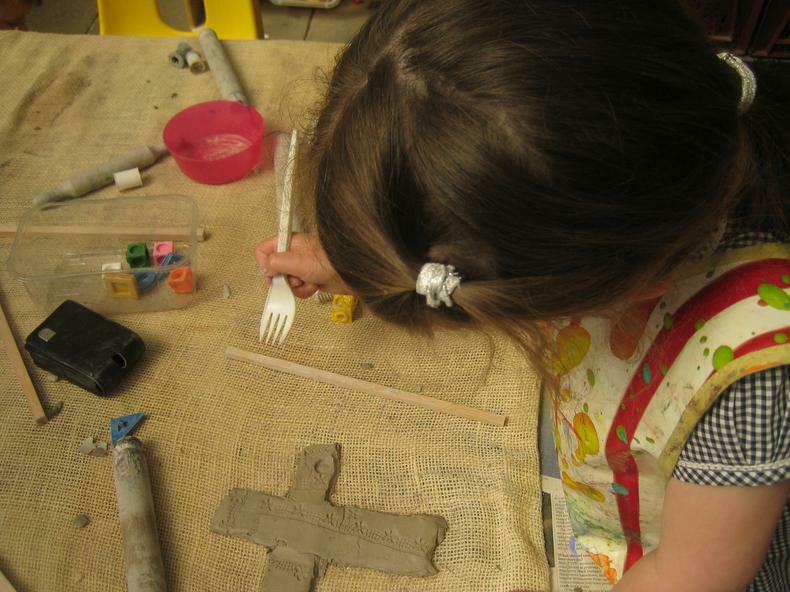 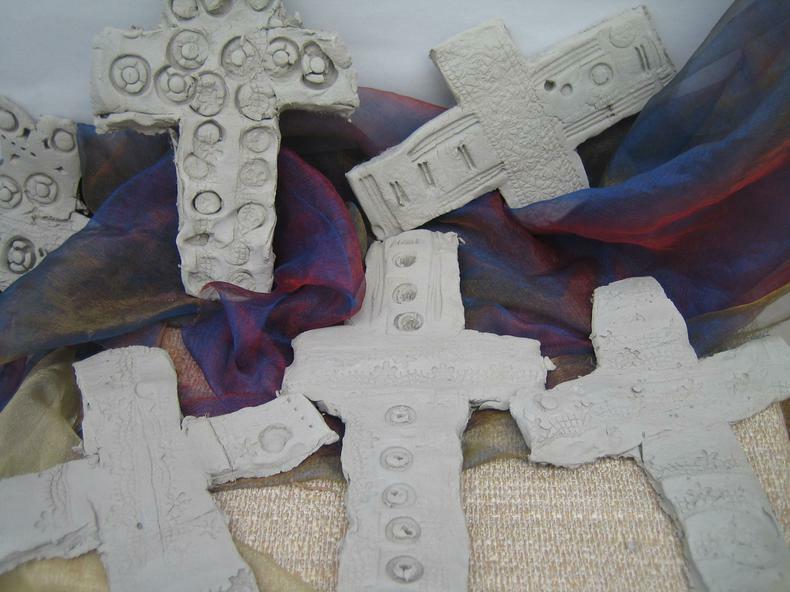 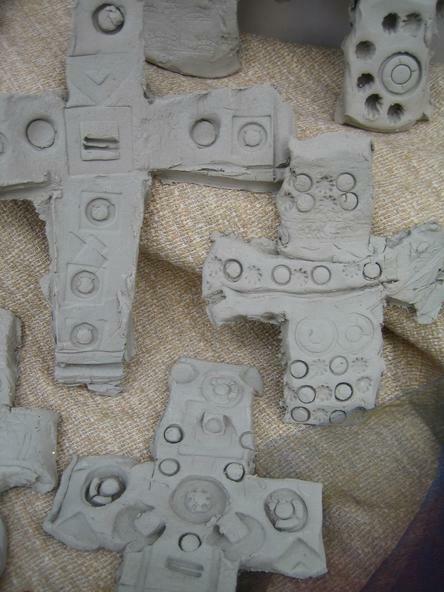 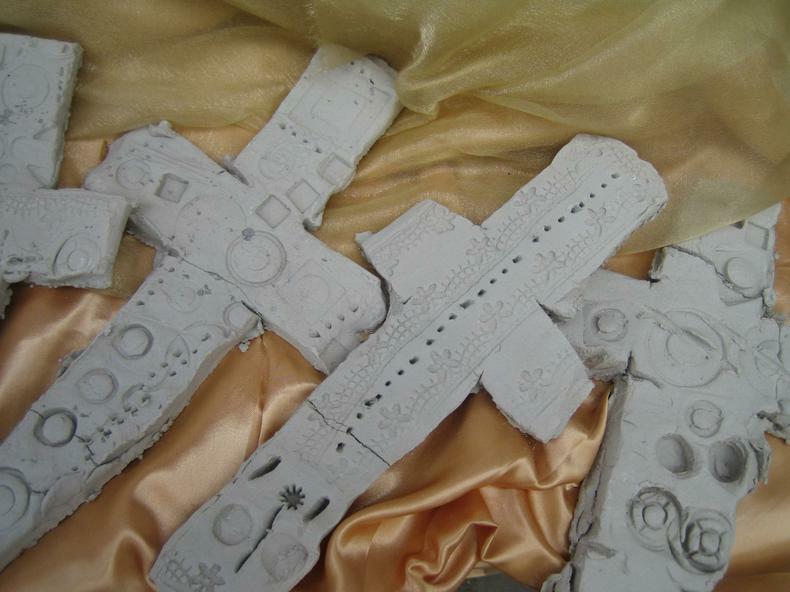 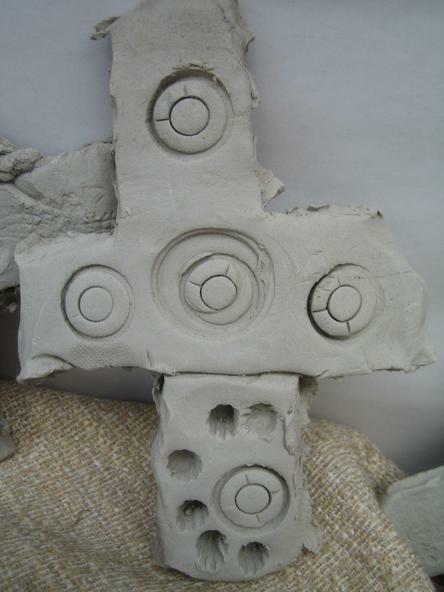 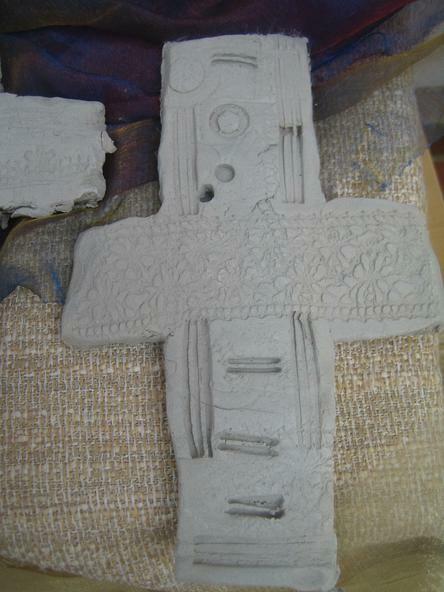 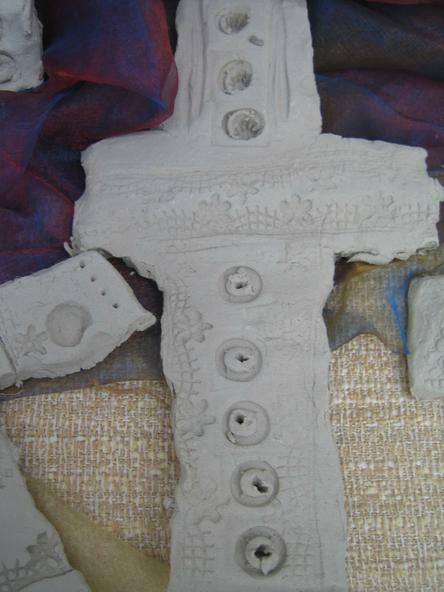 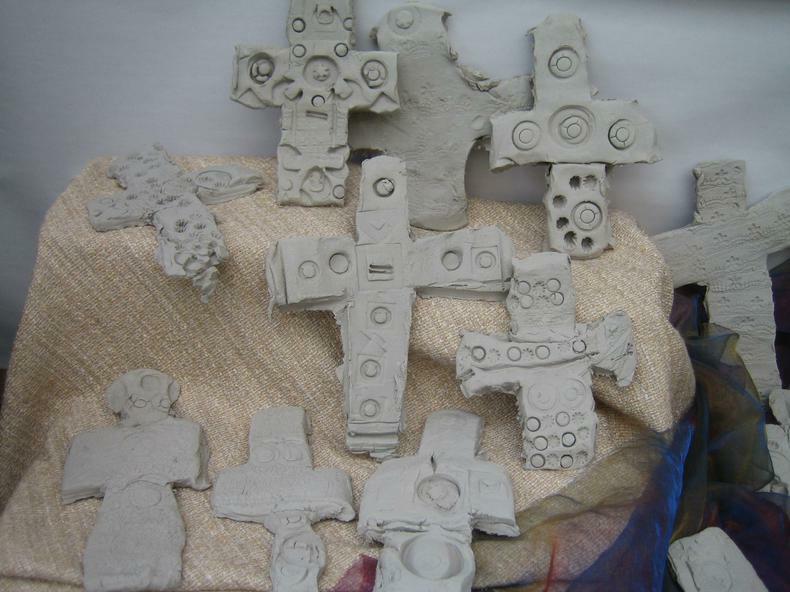 They then created their own clay crosses, rolling it and cutting it into the shape they wanted before printing onto it with buttons, pen lids, counters and even lace.